Swell has arrived, good waves on the Bukit. Impossibles was 1,5 x overhead, good amount of people out, but some long rides. 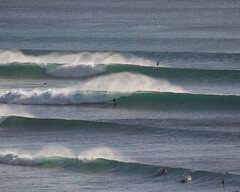 The locals got a lot of good barrels at Bingin.